Rudder with RJ12 cable, universal RJ12/USB adapter unit, 2 removable differential brake heel-rests, user manual and warranty information. 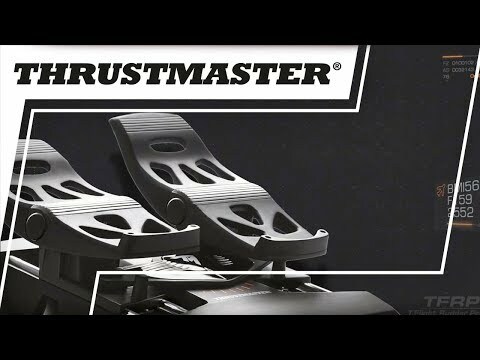 On PC (Windows® 10/8/7/Vista), works with all joysticks on the market thanks to Thrustmaster’s drivers*. On PC and on PS4™, works with and connects directly to the Thrustmaster T.Flight Hotas 4 joystick**. The USB rudder can be combined with Thrustmaster HOTAS WARTHOG, T16000Mand the MFD Cougar Pack so that they are recognized as a single USB device.